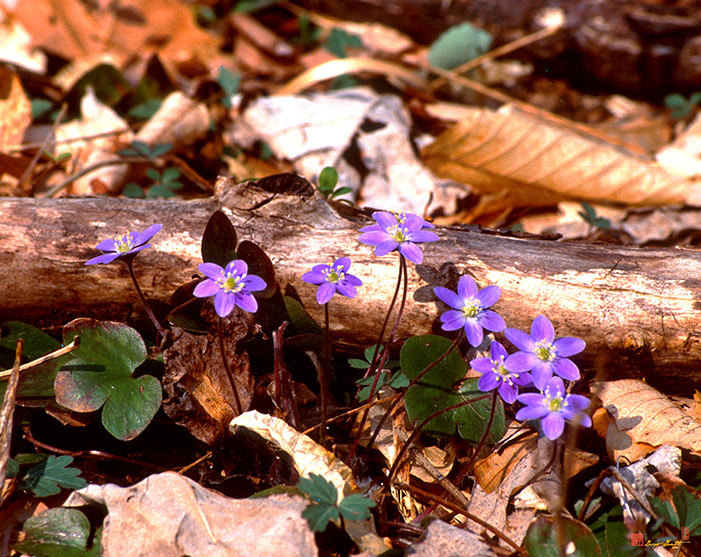 2001 Photograph, Round-lobed Hepatica (Hepatica nobilis var. obtusa, (Hepatica americana, Hepatica triloba), Buttercup family, Ranunculaceae), Fairfax Villa Park, Fairfax, Virginia, © 2019. This spring flower is named for its leaves which resemble a liver.